The feeling of a good carpet under your feet is always a relaxing treat so stumbling, tripping or simply walking on folds and bumps isn’t fun. The first time you walked onto your carpeted floor or had your floor newly carpeted, you knew what good floor cover should feel like. But nowadays your old carpet has become nothing but a bumpy rug. 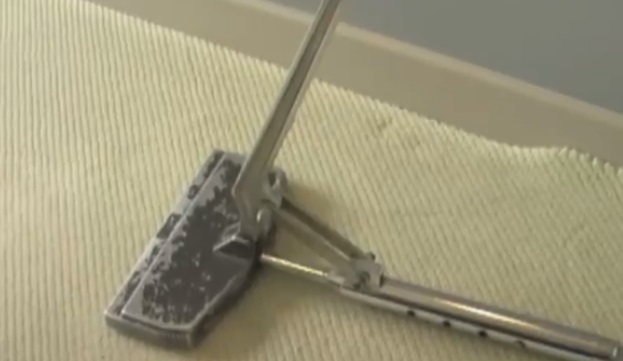 Realigning or straightening your carpet though is actually quite easy and fast. You don’t have to suffer with abump ridden carpet or have your floor re-carpeted. Save on the cost and simply have your carpet re-stretched. Because there is no need to suffer with a carpet that’s ridden with bumps especially when straightening your carpet is fast, easy and pocket friendly. Don’t live with a bumpy carpet or pay a lot of money having your floor re-carpeted, simply get your carpet re-stretched quickly, professionally and most of all save on costs. Stop staring at those waves or buckles and get the peace of mind and Carpet stretching that you deserve! Owner, Pablo Schroeder, has 30 years of experience serving the West Vancouver area, working with both residential and business customers. He has earned a reputation for meticulous attention to detail and guaranteed quality work.